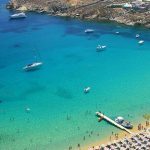 Platis Gialos Beach Mykonos is one of the most popular beaches , not only in Mykonos or in Greece but in the whole of the Mediterranean sea! 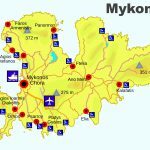 There are very regular bus services to and from Mykonos town that take about 15 minutes. This large sandy beach is very well organized and provides a variety of facilities, especially for families with children and there are plenty of beach & sea sports such as water-skiing. If you would like to explore more than one beaches at the same day, a water taxi leaves from Platis Gialos every hour or less to the beaches of Paraga, Paradise, Super Paradise, Agrari and Elia. 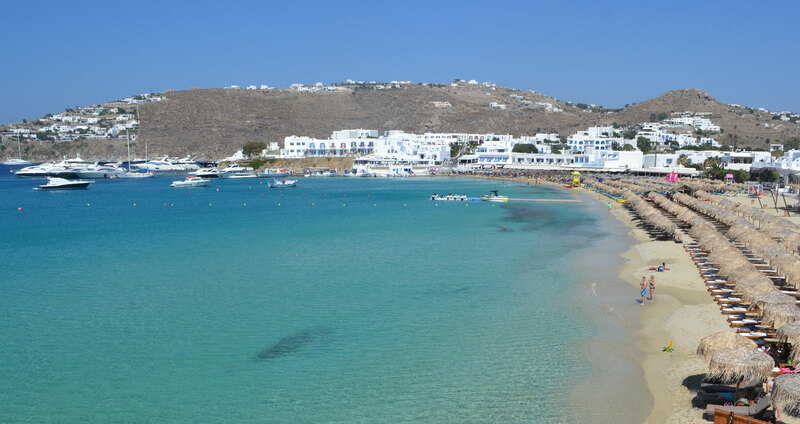 You can reach Platis Gialos beach by car or bike, the taxi costs around 14 euros, is located 6km south to Mykonos town around 15 minutes by car. Platis Gialos is easily accessible by bus from Mykonos town. 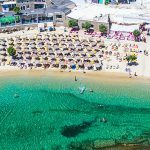 Where is Platis Gialos Beach?